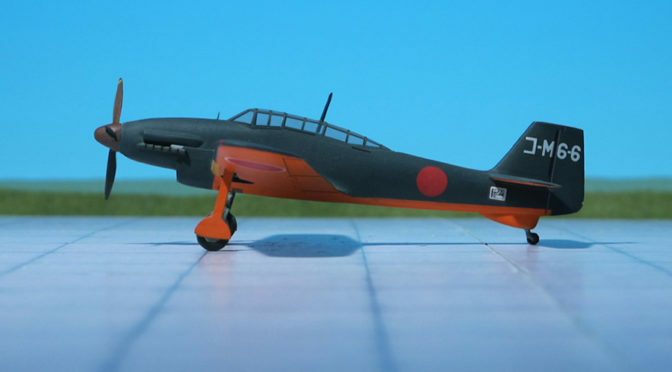 COMMENT: The Kawanishi N1K1-J “Shiden” (“Violet Lightning”) was an Imperial Japanese Navy Air Service land-based version of the N1K. 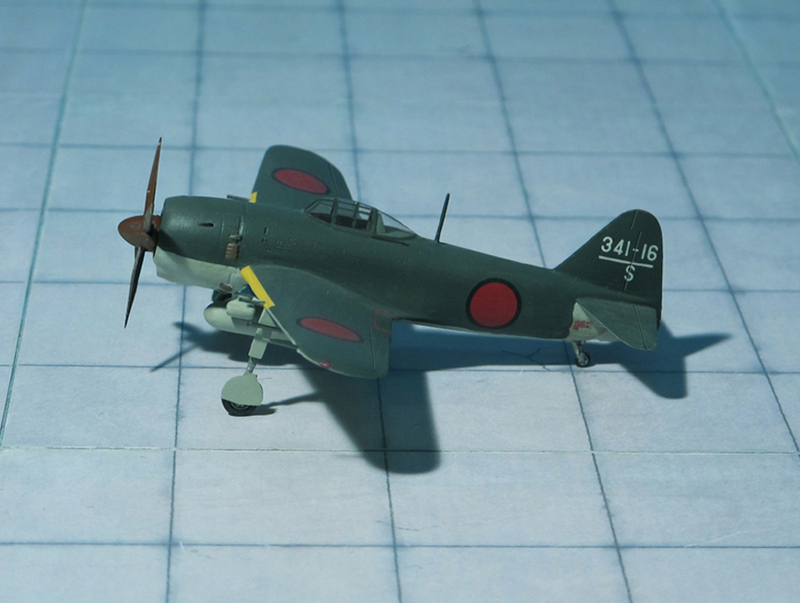 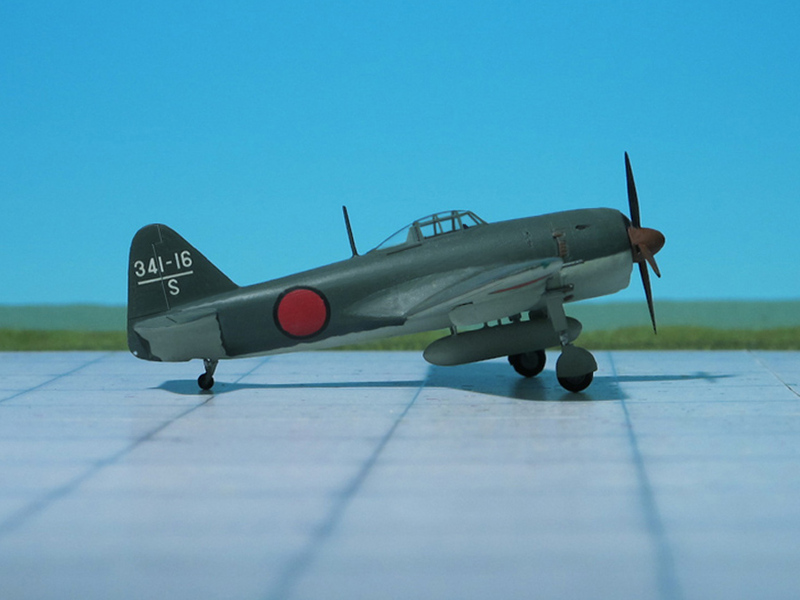 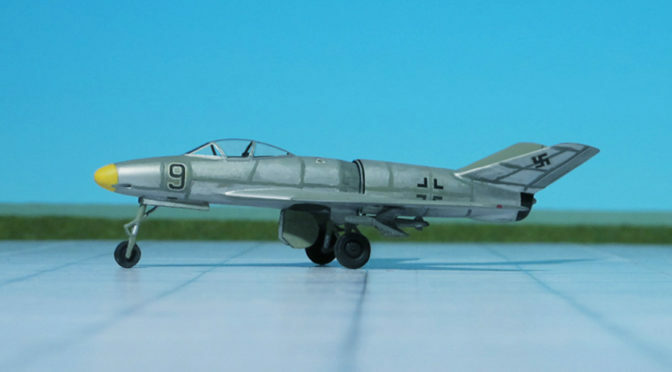 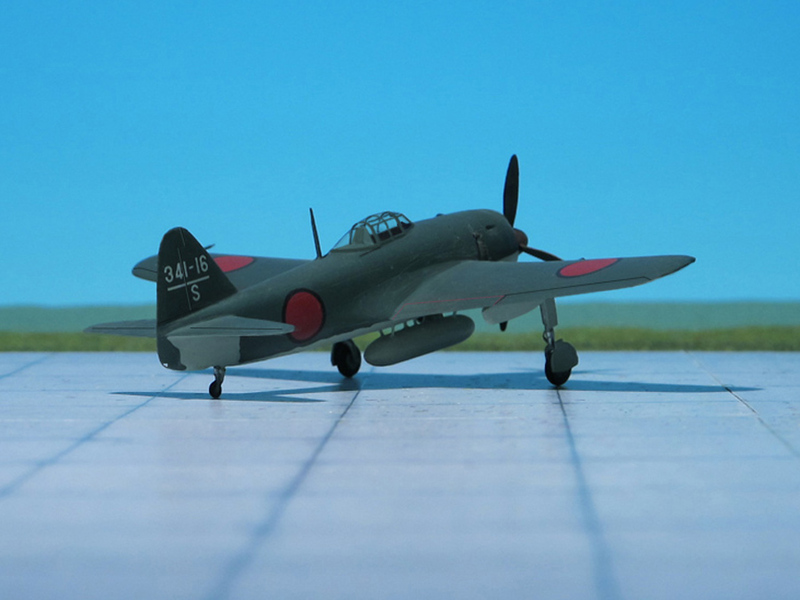 Assigned the Allied codename “George”, the N1K-J was considered by both its pilots and opponents to be one of the finest land-based fighters flown by the Japanese during World War II. 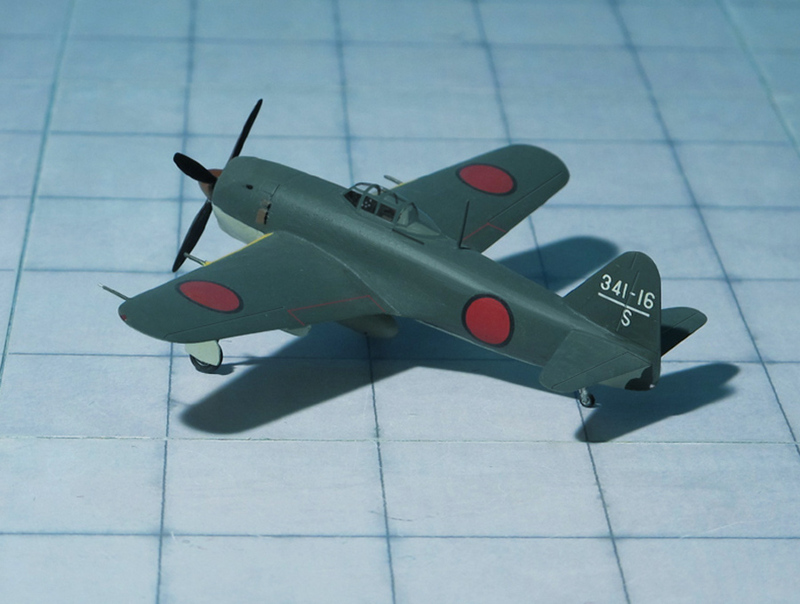 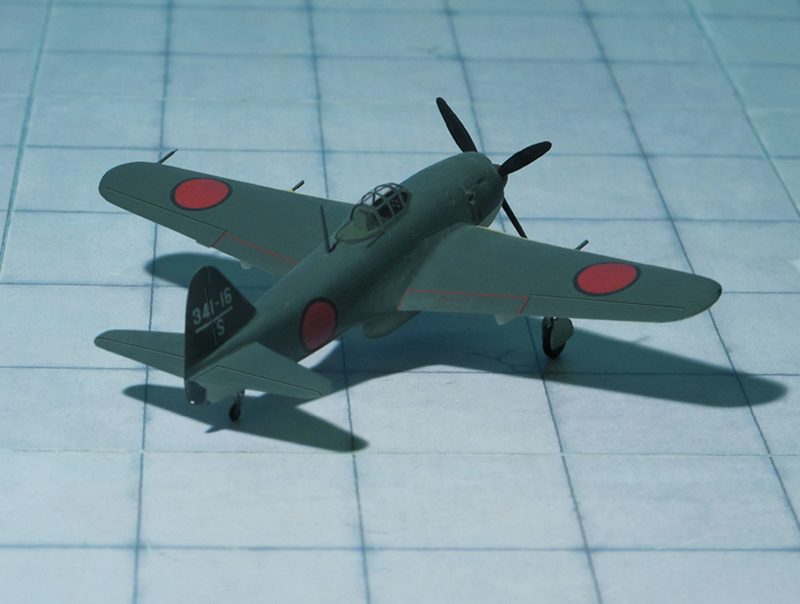 Kawanishi’s N1K was originally built as a single pontoon floatplane fighter to support forward offensive operations where no airstrips were available, but by 1943 when the aircraft entered service, Japan was firmly on the defensive, and there was no more need for a fighter to fulfil this role. 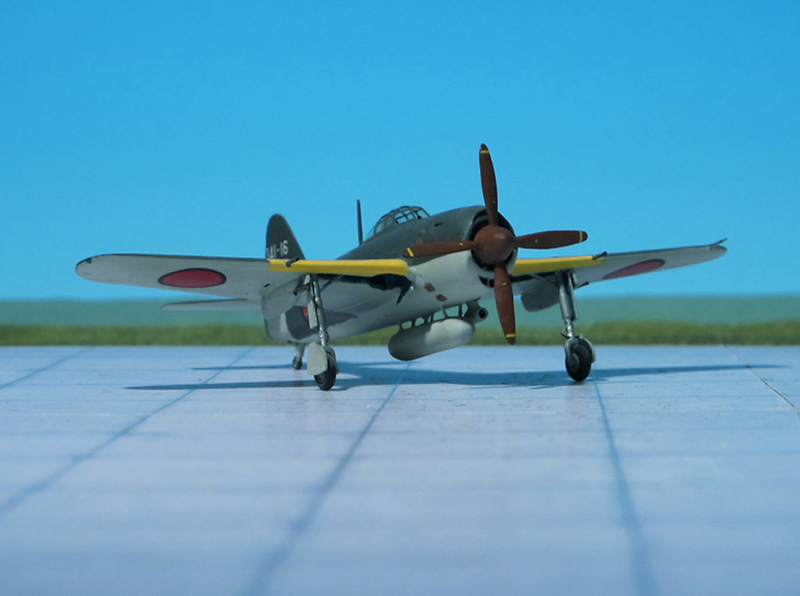 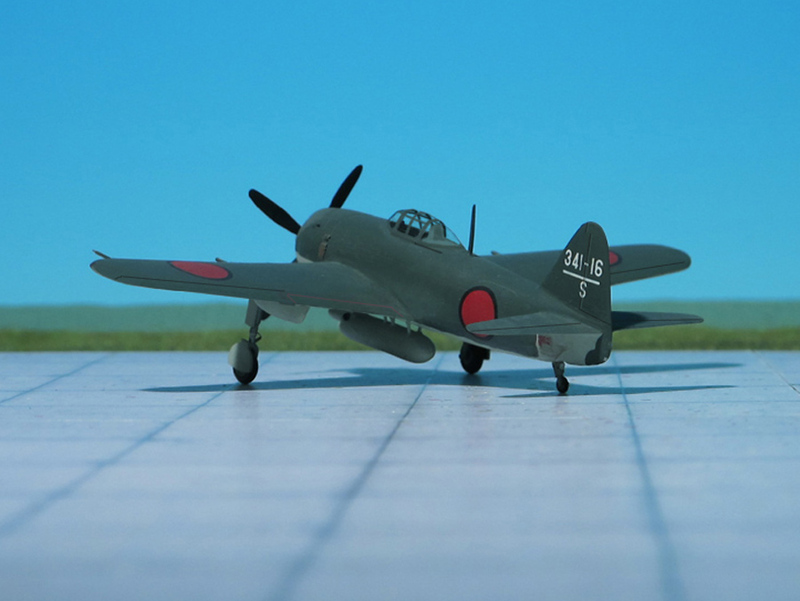 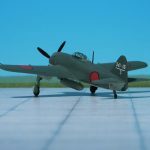 The Nakajima “Homare” was powerful, but had been rushed into production before it was sufficiently developed, and proved troublesome. 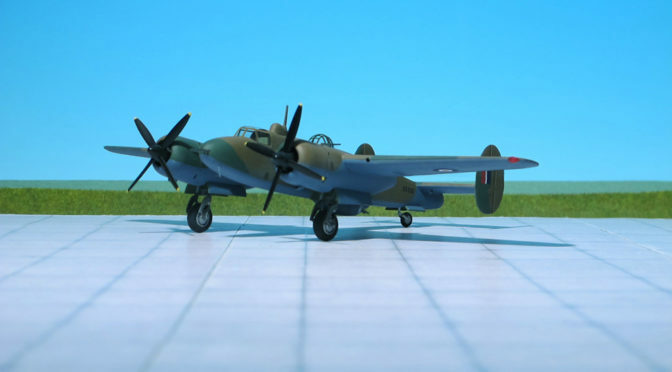 Another problem was that, due to poor heat treatment of the wheels, their failure on landing would result in the landing gear being torn off. 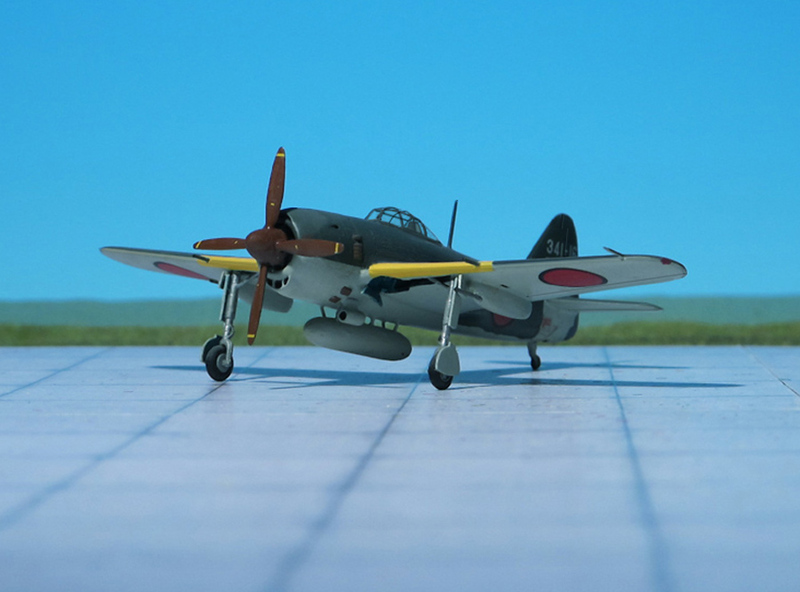 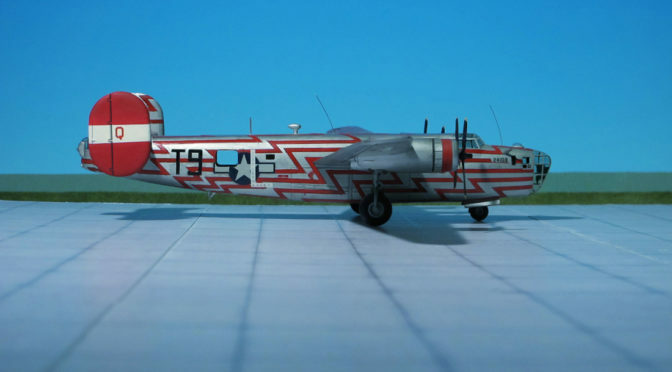 Apart from engine problems and the landing gear the flight test program showed that the aircraft was promising. 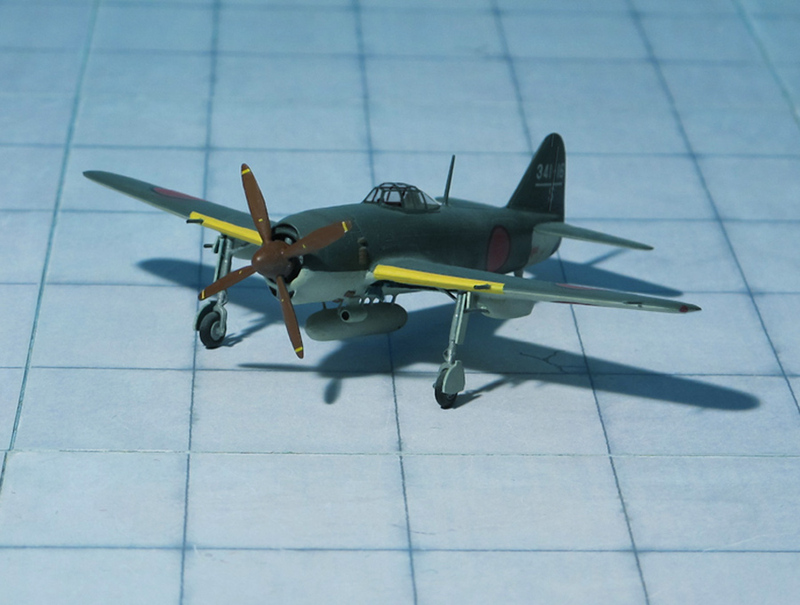 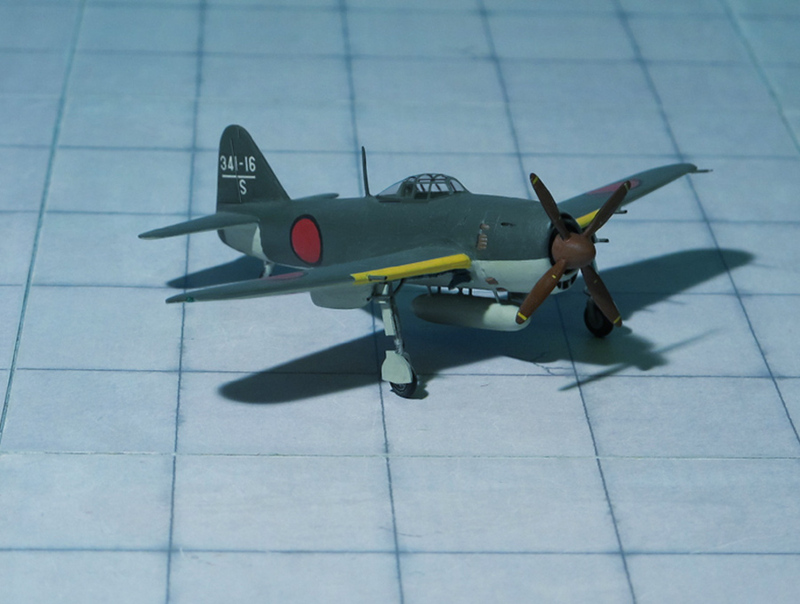 Prototypes were evaluated by the Navy, and since the aircraft was faster than the Zero and had a much longer range than the Mitsubishi J2M “Raiden”, it was ordered into production as the N1K1-J, the -J indicating a land-based fighter modification of the original floatplane fighter. 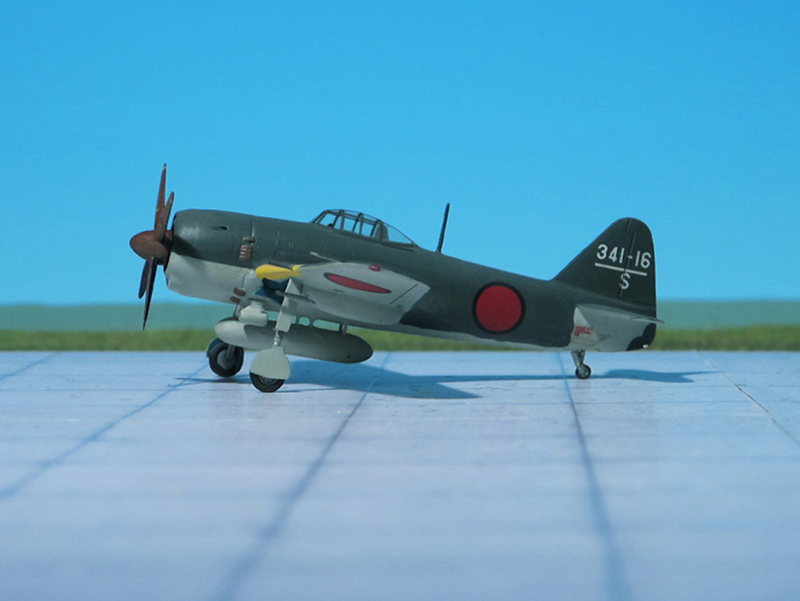 The N1K1-J aircraft were used very effectively over Formosa (Taiwan), the Philippines, and, later, Okinawa. 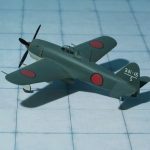 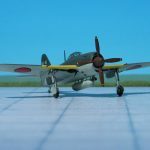 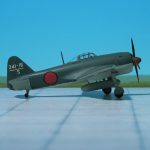 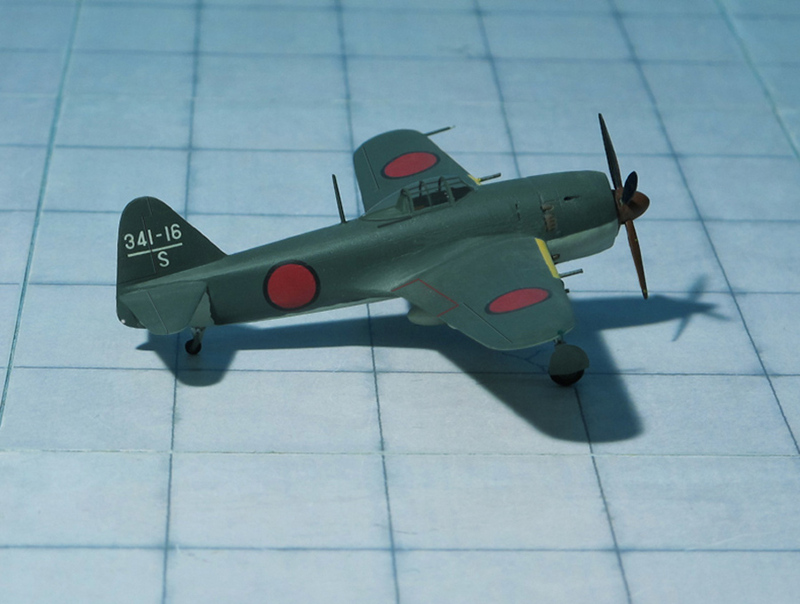 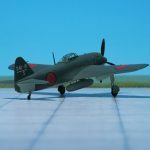 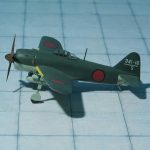 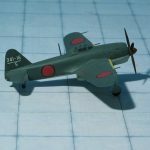 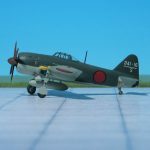 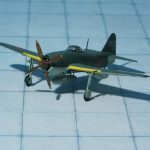 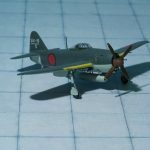 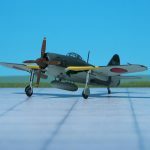 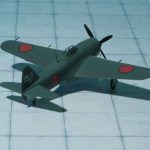 Before production was switched to the improved Kawanishi N1K2-J “Shiden-Kai”, 1,007 aircraft were produced, including prototypes (Ref. : 24).